Achieving consistency and quality parameters sought by millers can be particularly difficult in organic systems but is important in maintaining markets. A solution to quality issues has been found by organic oat growers supplying White’s Oats. 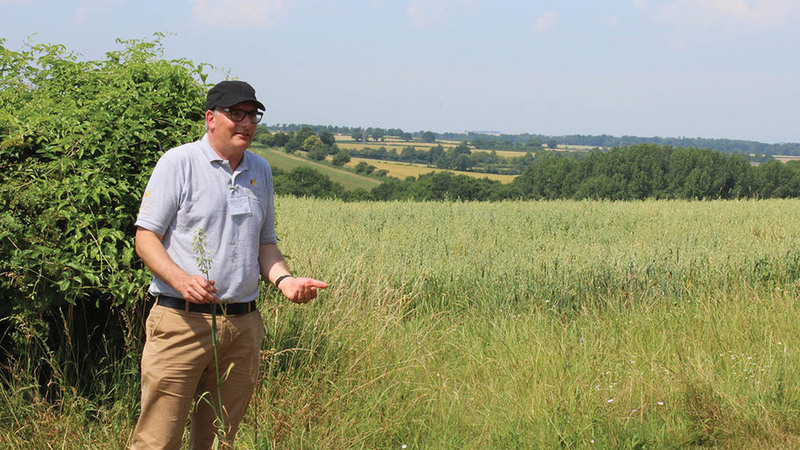 Andrew Trump of Organic Arable, which helps organic farmers market their crops, explained how organic oat growers such as Fullerton Farms Partnership, which hosted National Organic Combinable Crops 2017, had worked to meet higher quality standards set by White’s. “The general manager at White’s, James Mathers had experienced quality problems and needed something better and more consistent so we developed a supply chain,” said Mr Trump. A pricing mechanism has been developed, with contracts based on a minimum and maximum price set every September. Premiums are paid for quality and there are deductions for poor quality. Firth has worked well as a variety for the miller with its high hullability, unlike Canyon, which Mr Trump said has poor hullability. “If you have only 60 per cent output for every tonne you put through you have to put 40 per cent back through which is an expensive process. He used a seed rate of 180kg/ha for Firth and will probably increase this next year. “We prefer spring oats to winter – historically we have been a spring cropping farm. If we plough up grass leys later there is less leaching,” said Mr Liddell. 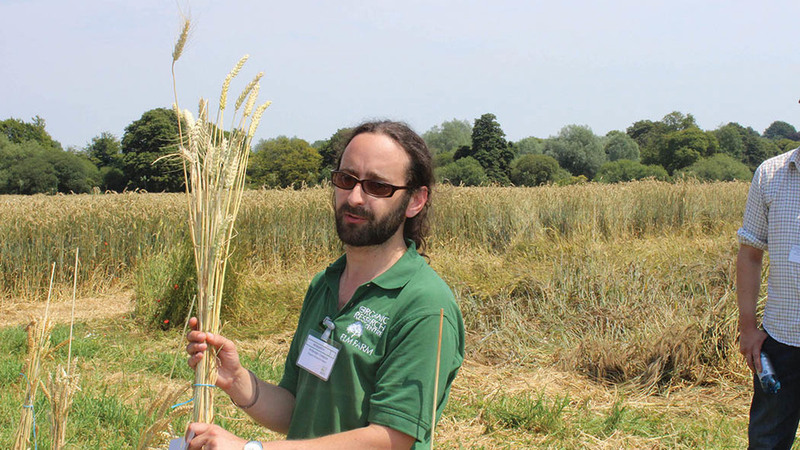 Growing organic wheat that meets the requirements of millers remains a challenge with scope for improvement, according to some visitors to the event. East Yorkshire-based organic farmer and miller Tim Sellers produces flour for artisan bakers but reminded delegates that most organic wheat goes through a conventional rather than artisan milling process. Breeding suitable varieties for organic systems was a key topic debated at the conference with Professor Martin Wolfe of Wakelyns Agroforestry keen to highlight the benefits of maintaining genetic diversity over monoculture. “For anyone growing variety mixtures on their farm it becomes a trial and selection process and you cannot show advantages at a field or district level,” said Prof Wolfe. Rob Baird, director of Scotland-based grain merchant W N Lindsay is also sceptical about monocultures. “Farming contractors are taking on larger acreages – five, six, 10,000 acres; monoculture will not last the test of time,” he said. National Organic Combinable Crops 2017 was held at Fullerton Farms Partnership near Andover, Hants. The farm comprises 283ha (700 acres) of organic arable crops, run by Tom Liddell, 69ha (170 acres) of permanent pasture, mainly water meadows let for grazing and 12ha (30 acres) of vineyard. Other enterprises include fly fishing on the Rivers Test and Anton, events venue hire, DIY livery and solar panels. Soil type ranges from clay caps to chalk backs and silty loam. Mr Liddell describes it as ‘free draining but not very fertile’. 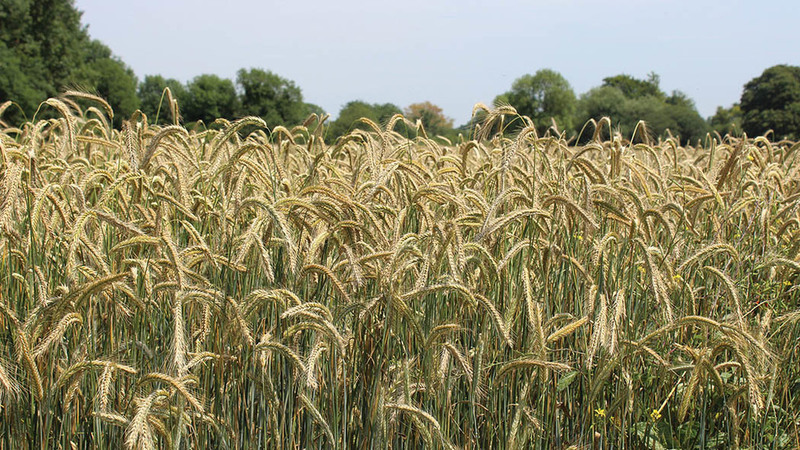 The arable rotation is spring oats/winter rye or spelt/overwinter cover crop – usually mustard/spring barley undersown with a herbal ley which is established for two summers. Main inputs are rock phosphate and green compost. Mr Liddell said he plants aggressive crops to compete with weeds.